In November I had the opportunity to attend a press event for Carnival Cruise Lines in New Orleans. I enjoyed the last event I attended so I jumped at another opportunity to learn more about the new fun ship. The event was an overnight pier side cocktail to commemorate Carnival Sunshine, the largest transformation in Carnival history. The Sunshine can carry 3,002 passengers, will replace the Conquest, which could carry 2,984 passengers. 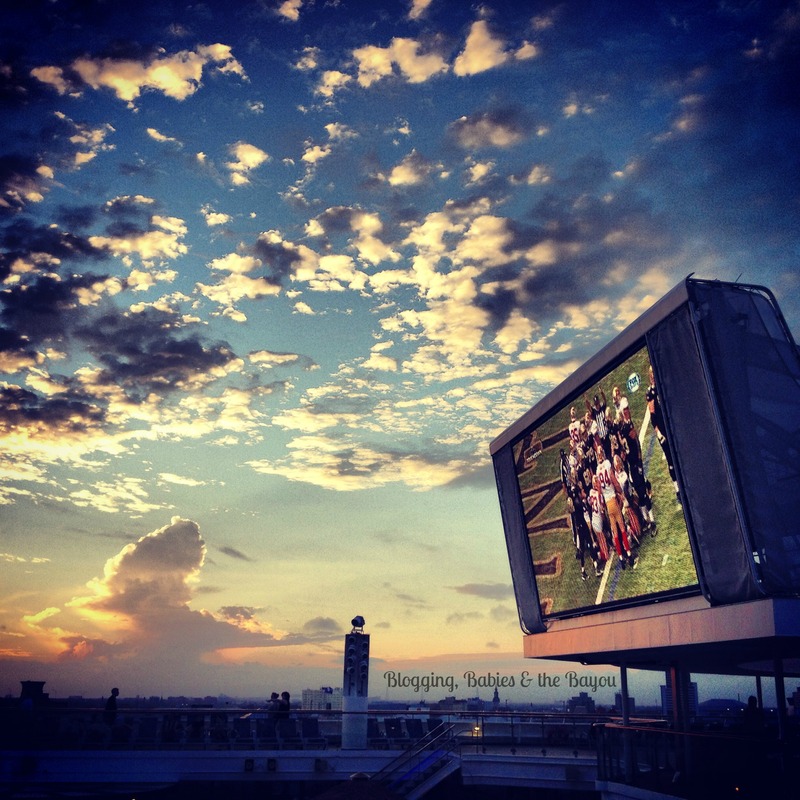 The Sunshine will leave New Orleans in April and head to Port Canaveral, Fla. 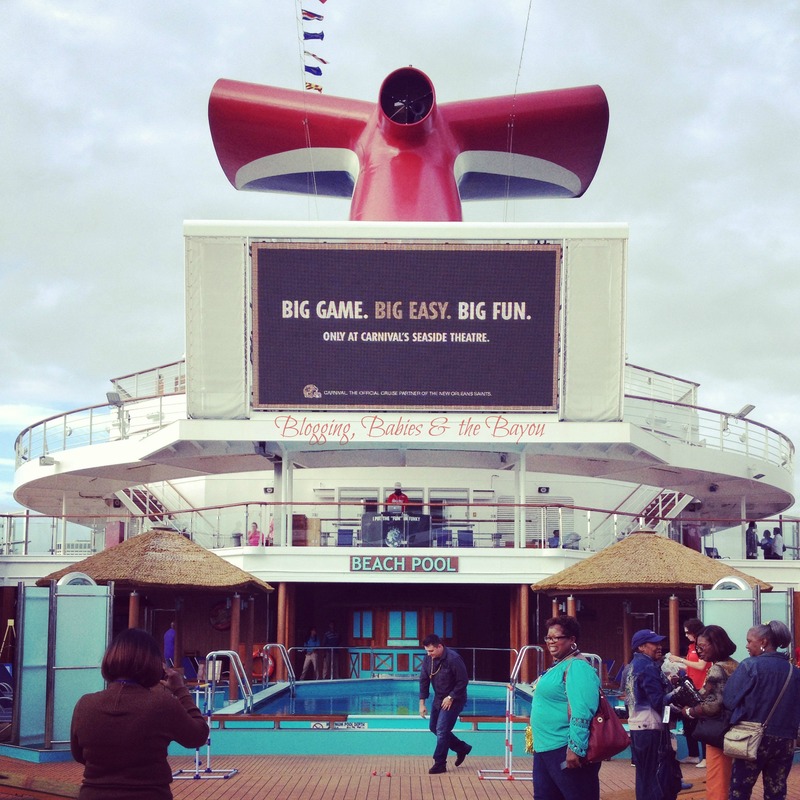 The even larger Carnival Dream, which can carry 3,646 passengers will replace Carnival Sunshine in New Orleans in 2014. The ship itself is magnificent! In addition to the 2.0 upgrades that other Carnival ships have recently underwent, the Sunshine endured a $155 Million dollar renovation which is by far the largest in Carnival History. Watering holes like the RedFrog Rum Bar and BlueIguana Tequila Bar, a three-deck-high Serenity adults-only retreat, Havana Bar, ShakeSpot, and JavaBlue Café give passengers an opportunity to explore, relax and enjoy their beautiful surroundings. Carnival Sunshine includes an adventurous water park with themes that include the Speedway Splash, a racing concept and the SplashZone kids’ area. Carnival’s longest waterslide, the Twister, is also featured. My kids will enjoy the 334-feet long. The enclosed slide extends over the edge of the ship, giving riders a thrilling experience and an adventurous glimpse of the ocean as they zip towards the bottom of the slide. 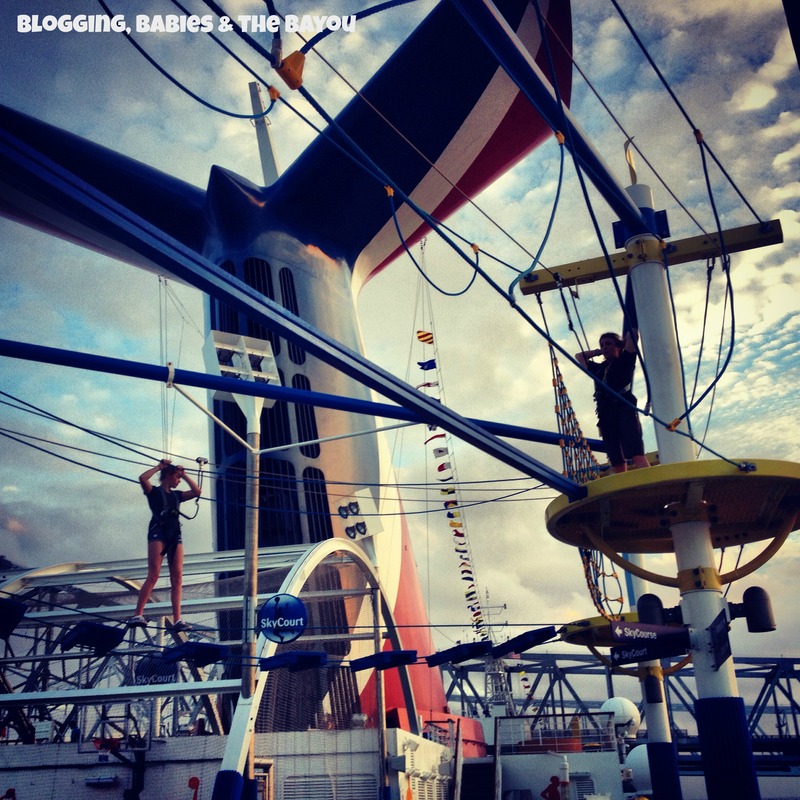 The fun ship has definitely taken family adventure to the next level! Pool-side is where the action is! Can you imagine enjoying a hand-crafted burger at celebrity chef, Guy Fieri’s, Guy’s Burger Joint or authentic Mexican offerings at the BlueIguana Cantina (their burritos are fantastic). Dinner venues inside the ship can accommodate those wanting a little more privacy with restaurants like Fahrenheit 555, a classic steakhouse, JiJi’s Asian Kitchen, or Cucina del Capitano, a casual family-style Italian restaurant. I enjoyed the lobster tail and shrimp at our formal press event dinner. The lobster was mouthwatering and service was outstanding! Seriously, our head waiter was hilarious!! Make sure to stay tuned as I give an inside glimpse into Carnival Sunshine Adventure Water Park & Kids Area. You will be fighting over which parent will take the family to kid’s area daily! 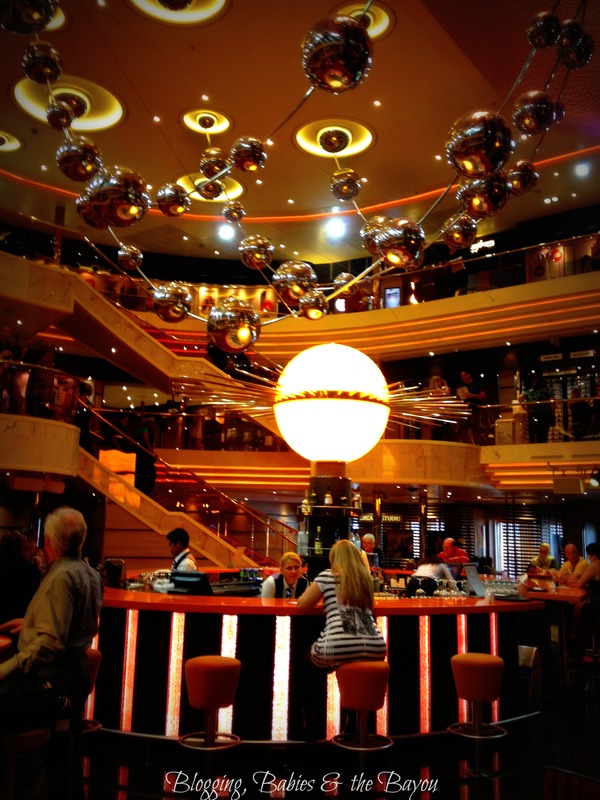 What types of amenities are you looking for in a cruise line? Actually I am scared to death of ever going on a cruise–have been since well forever! I realize it is not rational–but that is what it is. I have known people who have gone on Carnival Cruises and they certainly rave about them! My sister just got back from a Carnival Cruise and said how much she loved it. I have always been a NCL person, but the last cruise I went on with them wasn’t so great. Maybe I need to switch and try Carnival. I have never thought about going on a cruise but this looks like all kinds of fun! I would want to be able to have a good time, lots of food and port time. I’ve never been on a cruise so I have little knowledge on what’s available, but I’m pretty sure I would like a window for the natural light. Nice photographs. I am sure the event was even better. I have never been on a cruise, but it’s on the bucket list! That is a beautiful ship! This sounds like carnival is the cruise to be on! Can’t waste vacations on a lousy cruise! Wow, just wow. That ship is amazing. I went on a cruise over 10 years ago and it was fun but our ship left a little to desire. I am sure they have all improved quite a bit in 10 years. I just attended a press event for Carnival and I was in awe of their many amenities. I can’t wait to take my family on a cruise with them sometime soon. What a beautiful ship, I am sure there is a lot more to it. I have only been on a cruise once and would do the same thing for my next one. All I need is the gym and the food, one to work off the calories and allow me to eat more of the other. Love their food! Wow! I have never been on a cruise, but if I were on on a boat like this I think i would love it. I so need to try one cruise in my lifetime, it looks so fun! I have always wanted to go on a cruise. Great review. The only cruise I have been on was for our honeymoon. We plan to take another one for our 20th anniversary. 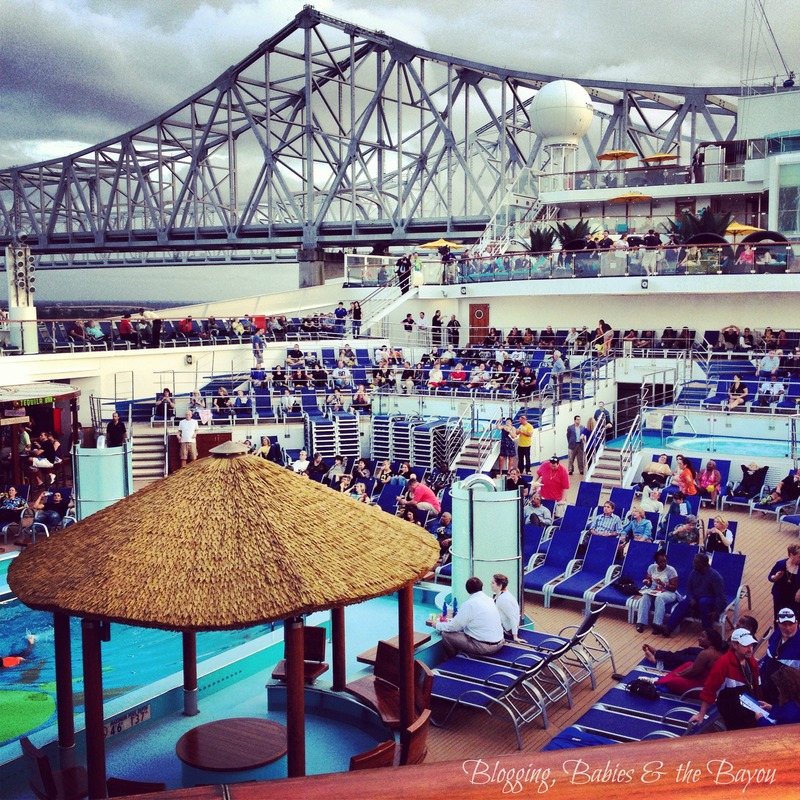 By the looks of it, cruising has only improved since we experienced it! I wanna go!!! I’ve never been on a cruise and VERY MUCH want to go on one! My husband get car sick though, so he is worried he wont do too well at Sea. I hope to take a Carnival cruise sometime in my lifetime though! I look forward to most posts about your trip! Wow, that is a beautiful cruise ship! I’m not sure if I would like going on a cruise or not. I’ve never been on a cruise before but this one looks really cool! I would love to go on a cruise. However, my middle daughter is terrified of the ocean and cruises so we have not gone on a cruise. My husband and I will have to plan a trip. He has never been on a cruise. This ship looks amazing.